The leaf looks a lot like the street map of a town or city. 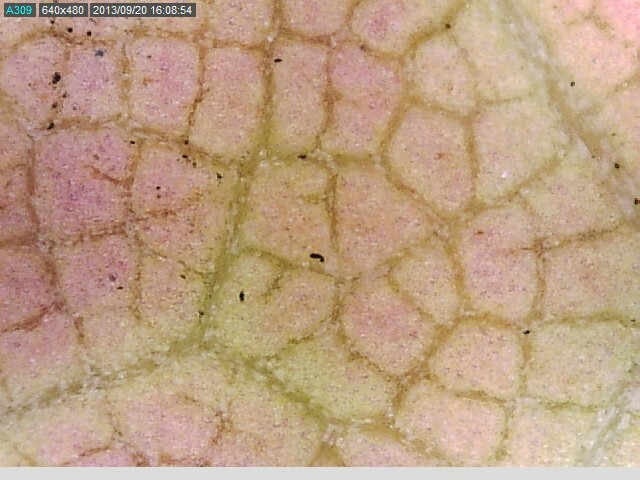 Part of a leaf's job is to move sugars (glucose) from place to place, just like roads create a pathway that allow us to move from place to place. 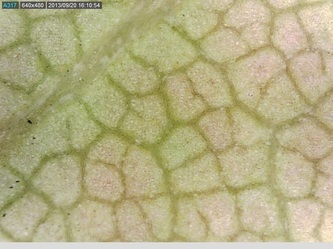 The veins of a leaf (to the left) are the dark green areas just like roads on the map to the right. 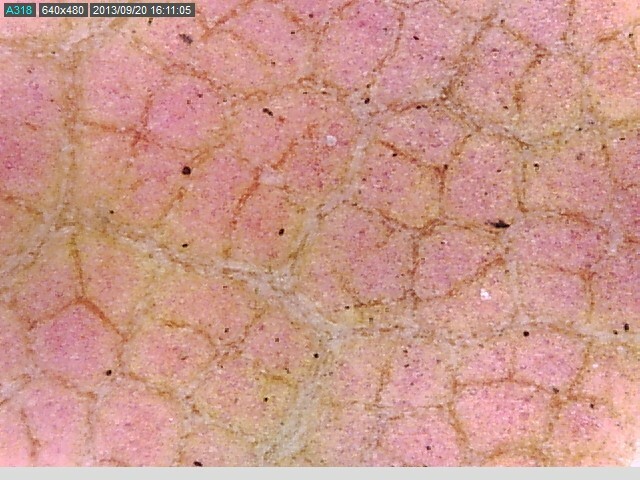 This is a microscopic view of leaf tissue; this is part of an object that has been magnified to 200 times it's size. How big would you be if you were 200 times your size? According to scientists, leaves change as the nights become cooler in the fall and length of day shortens. The trees become dormant for the winter. The leaves stop producing food and the green color (chlorophyll) breaks down and fades. As a result, the hidden yellow (xanophyll) and orange (carotene) colors in the leaf start to show. Other colored pigments are made- reds and purples (anthocyanins). 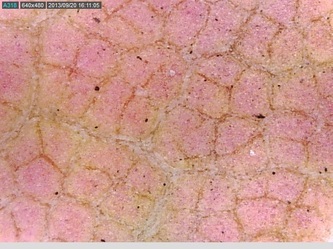 The anthocyanin colors protect leaves from the cold. When springs are wet and summers mild, brilliant leaf colors come out on trees. When we experience droughts over the summer, trees are less brilliant in color and often color changes are quick and early. The cool nights affect the color changes too. Warmer evenings in the fall may result in less reds and purples. What happens to leaves in the fall? Some trees, like this maple are called deciduous trees. They change color in the fall and the leaves die and drop to the ground while the tree remains dormant or resting through the winter. 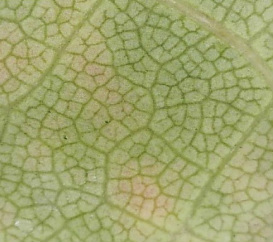 The photo above left is part of the leaf below. It was a mix of colors. I thought the pattern of color change was interesting and wanted to see it closer. 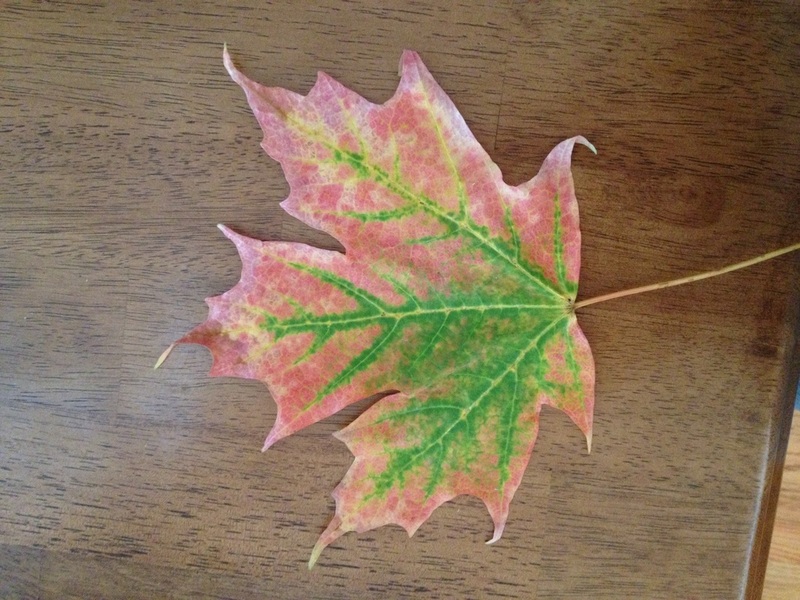 What happens to a leaf as the colors change? 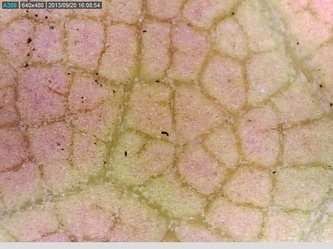 Take a look and compare the red and green portions of the leaf. Compare, how are the red and green regions different?